Truck Camper Magazine visits Stablecamper in Sandy, Oregon and discovers a daring and potentially disruptive rebellion in small parts manufacturing and truck camper gear production. Load the G-code. 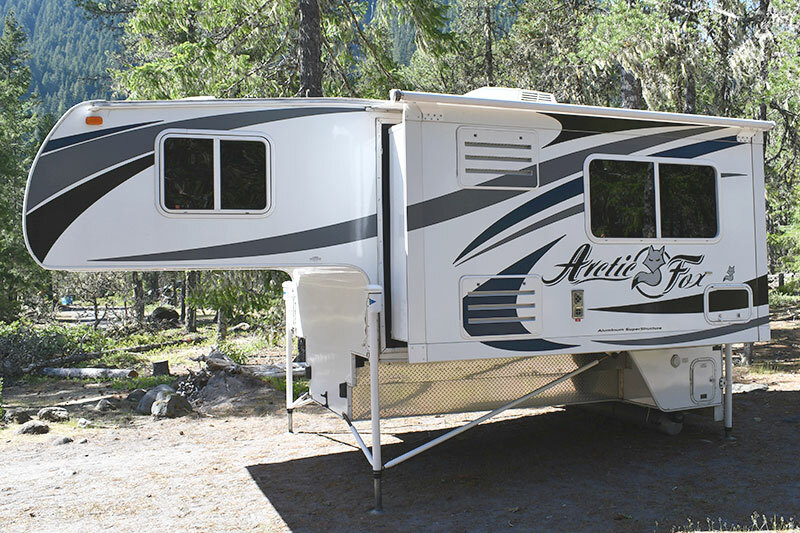 One of the biggest challenges to the overall quality of RV manufacturing is the quality that the parts companies integrate into their units. We can’t tell you the number of times manufacturers have voiced concerns about delivered parts that don’t pass initial inspection. It’s a real challenge that’s getting worse with every merger and acquisition of parts companies. Attack of the bean counters. Enter Stablecamper. We first met Jared and Candice Sund, the Founders of Stablecamper early last year. They were hard at work developing their camper stabilization system and looking for ways to successfully bring it to the market. The last hurdle they needed to leap was cost. They needed a way to price the system competitively without sacrificing quality. When they attempted to source their parts locally, the resulting cost was far too high. When they considered having their parts manufactured overseas at a lower cost, the quality was far too low. Undaunted, Jared and Candice simply invented another way, and created a new and possibly revolutionary high speed, low cost and 100-percent local parts manufacturing method. Oh, and their truck camper stabilization system is utterly fantastic, too. Buckle up buttercup. This is one heck of a factory tour. In a nutshell, Stablecamper has combined multiple CAD software and CNC hardware technologies to produce short part runs faster and more efficiently than previously possible. First up, they purchased a 10,000-pound Haas TM-2P CNC vertical milling center. From the Oxnard, California factory, the TM-2P runs at 6,000 RPM, twice as fast as competitive CNC mills. 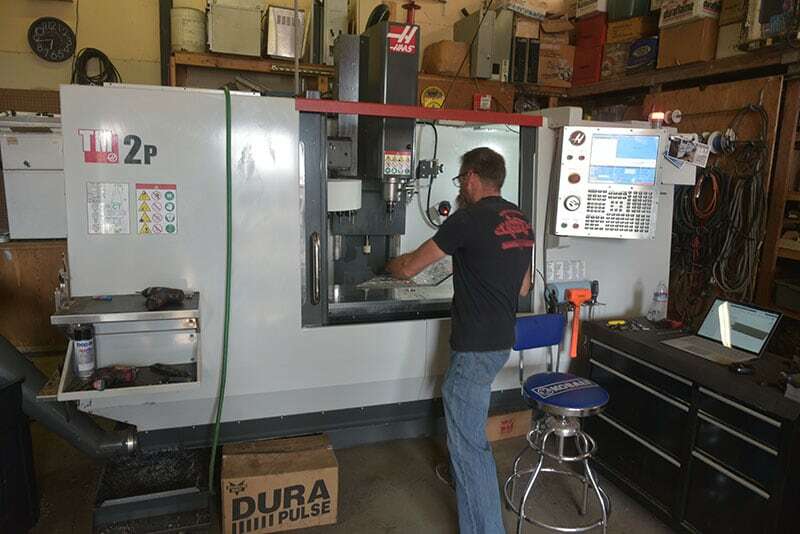 By employing custom cutting tools running at 60-percent engagement depth, Jared was able to achieve significantly faster and wider passes with the Haas. After additional modifications, Jared increased the Haas cutting rate from 10-inches a minute to 117, a 1,070-percent increase in speed. Next Jared designed an aluminum baseplate and a system of quickly interchangeable bolt-on aluminum pattern plates to allow for cheap tooling, fast set-up and efficient use of material. Perhaps the coolest part of this concept is that the Haas mill itself creates its own baseplate and pattern plate tooling. 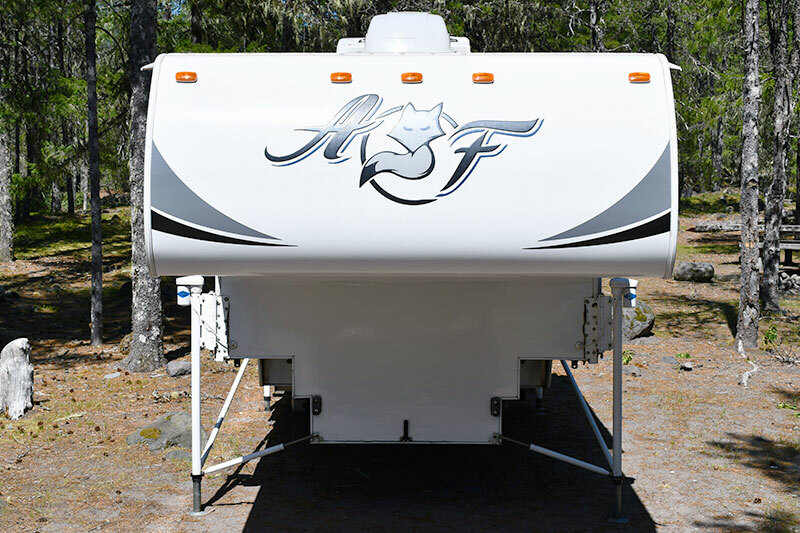 The Stablecamper team found more efficiencies and speed enhancements through advanced use of Autodesk Fusion 360 software. Jared has extensive experience in developing what he calls, “digital definition products” using this CAD technology and synthesized best practices to create their advanced manufacturing process. Faster. Cheaper. Better. Made In The USA. The sum total of Stablecamper’s manufacturing process is the ability to quickly make their aluminum and steel parts in short runs at a fraction of the cost previously possible. Nearly everything they make is designed in Autodesk Fusion 360, goes straight to the Haas CNC mill, and uses the best available materials. Jared’s bigger vision is to spur a small parts manufacturing revolution. 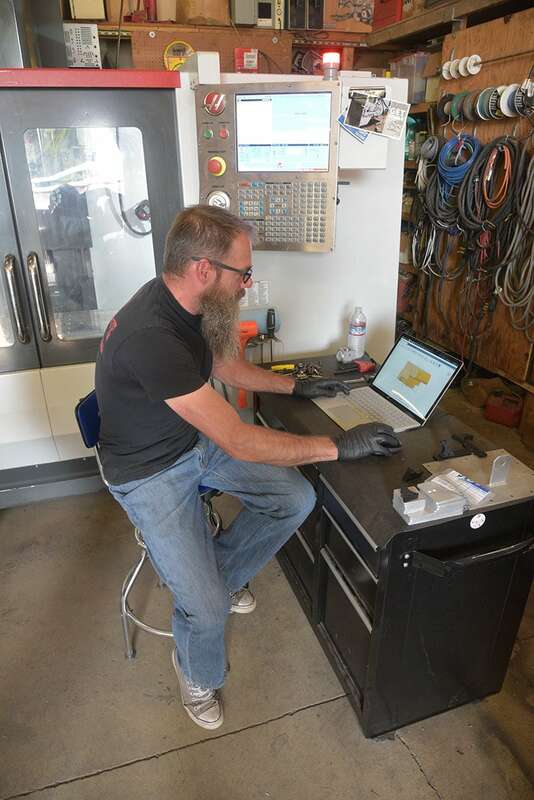 Stablecamper is already providing small part run services for businesses near Sandy, Oregon. If Jared and the team achieve their larger goal, there will be similar production shops in Sacramento, Salt Lake City, Saint Paul, Savannah and beyond.